Abo makes his blog debut, but it’s not for a win. This match is all Goku! 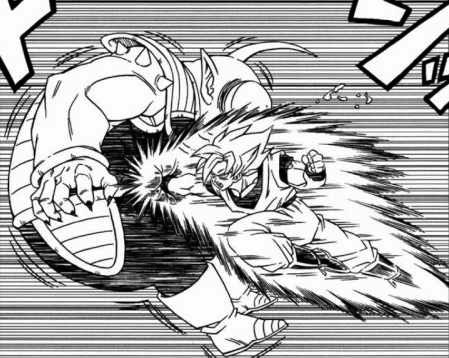 After re watching Goku’s exploits during the Super Android era, I remembered why Goku is one of the strongest characters out there! Defeating Abo would be an incredibly easy feat for Goku! One good punch/blast and Abo would be taken down for good. Goku wins. This entry was posted in Abo Battles, Battles, Goku Battles and tagged Abo, Goku by dreager1. Bookmark the permalink. He’s a newer DBZ character who thought he was tough. Goku beat him pretty fast!